Prioritize your sexual health today, stop the anxienty of wondering if you have an STD or not and get tested. The state of California and Fresno County have seen a rapid rise in STD infection rates. Do yourself, loved ones, and your partners some good and get screented. It’s a simple way of adding huge benefits to your health, as it’s both a preventention tool and can save you years of pain if you simply got tested now and treated as soon as possible. It’s as easy as selecting an anonymous test online, and pick up at a local lab near you on our website. Access to reliable, trusthworth, professional, and fast Reedley, CA STD testing is very important. This year alone the Center for Disease Control (CDC) estimates that there are 19 million new cases of sexually transmitted diseases (STDs) every year. That includes Reedley residents and all of Fresno County. It’s all to common of a case where people that have an STD do notrealize they are carring around an infectous virus or bacteria because a lot of these infections don’t show sypmptoms immediately. This means you could be receiving and spreading infections without even knowing it. Most physicians would agree that for those who are sexually active, fast STD testing should be completed annually or whenever a new partner is introduced. It’s often covered by many of today’s insurance companies. All our STD tests are priced affordably. You don’t need health insurance to get tested. If you’re wondering where to get tested for STDs fill out our forms to get instant access to planned parenthood testing. If you have questions such as “What is an sti?”, or “How to tell if you have an STD”, visit our FAQ guide. No other online provider does STD testing as affordable and anonymous as Valley STD. You will get easy to read and understand test results when you test sent electronically or discretely by mail, whichever you prefer. Be assured your STD testing is completely confidential with our Central Valley STD clinics. View the locations we serve. First off, if you have any concerns of questions what so ever, call our 24/7 support staff immediately. Just ask! We have counselors available seven days a week. Online payment is secured by the latest encryption security. The reviews and testimonials on our site are from past clients. Should you take the right step toward your heath and get tested for STDs with Valley STD, we only require a minute blood or urine sample depending on the test. Our doctors provide the most reliable and fast treatment possible for your STDs through analyzing your test and then writing prescriptions. If your test results are positive and you need to start treatment, our physicians will have referrals ready. Ordering an FDA Approved Reedley STD test is as easy as purchasing the test online on our website, or over the phone. Tests that are available include: chlamydia, HIV, genital herpes, gonorrhea, hepatitis, syphilis, trichomoniasis, or all of the above such as our most popular 10 panel test kit. Full screenings and early detection are important keys to maintaining overall good health. According to the Centers for Disease Control and Prevention (CDC), chlamydia and gonorrhea testing may be taken together as the test panel allows doctors to test for both infections through the same test. If you have concerns regarding syphilis RPR Rapid Plasma Reagin take our FDA-approved test today and secure the truth about syphilis. In good old Bulldog territory of the 93711, we have the most advanced, yet very easy to use local Reedley STD testing. How Much is STD Testing in Reedley? For Central California residents, specifically in the Reedley, Clovis, Reedley, Sanger, Reedley, and surrounding cities, you can order your test online today for as low as $20 and upwards to $200 for a full panel test kit. Individual tests for common STDs include Chlamydia ($80), gonorrhea ($80), Hepatitis ($20), and more. Simply order your test online, and we automatically route the order to your local clinic to get tested. If you’re looking for a free clinic to get tested for stds, check out the local Reedley Planned Parenthood. If going through the trouble to order one STD test, might as well order a full screening. Not sure which STDs you should be tested for? Read our guide. Our most popular test is the 10 Test Panel, which tests for Herpes 1, Herpes 2, Hepatitis A, Hepatitis B, Hepatitis C, Chlamydia, Gonorrhea, Syphilis, HIV 1, and HIV 2. These are all available online to order, for rapid same day testing. We provide a ton of resources for men looking to get tested. Questions such as “How are men tested for STDs?” and “How to test for STDs in men?” are all address on our Male STD information page. Information includes articles on common male STD symptoms, common methods for transmission, associated STD risks for gay men, and male HIV tests can all be found here. We also provide anonymous AIDS testing throughout our Reedley aids testing centers and other valley cities. You can be confident your information is safe and secure with our Reedley STD testing center. If you’re a female living in Fresno County we provide full STD screening for women and STI throughout our various Central Valley clinics. Check out our common STI symptoms in women article, detailing common types diseases contracted by women such as chlamydia. Don’t let social stigma stand in the way of your health. We provide safe, and anonymous STD testing for women. Simply order your test online, and we’ll order the test to the nearest Reedley lab near you. In 2013 Fresno County health officials released a new report that shedding light into the health of Reedley residents, specifically about sexually transmitted diseases and HIV. The five-year average for HIV cases is 64 per year. In 2011, there were 111 new cases — a 73% increase over a five-year baseline. Fresno County is one of the top five counties in the state for rates of chlamydia infections from year to year — and that trend isn’t changing, the report said. Almost 5,300 cases were reported in Fresno County in 2006, for a rate of about 581.9 cases per 100,000 people. In 2005, 4,900 cases of chlamydia were reported, translating to 545.2 cases per 100,000. The state average was 363.5 in 2006. The report also noted an increase in cases in Hispanic males and a continued disproportionate segment of black males diagnosed with the disease as well as an increased rate in HIV infections. All of this of course should be no surprise to many, given the closure of Fresno County’s HIV/STD closure in 2010 as a result of austerity budget cuts. – Jared Rutledge, County’s epidemiologist. The report includes recommendations for addressing STD problems, such as improving outreach to teenagers and community based education and relationship building with medical staff and doctors. Not only does it help public health workers identify health issues, but it establishes a blue print for community-based organizations. Taking a step back and looking at the overall trend of STDs in California, there is a similar trend in other counties. At the end of 2010, 513 people out of every 100,000 in Los Angeles County were living with HIV. 1,108 out of every 100,000 black people in California were HIV-positive in 2010. 363 per 100,000 California residents were living with a positive HIV diagnosis by the end of 2010. Men between the ages of 20-24 are more likely to contract gonorrhea than women. By the end of 2010, 363 out of every 100,000 people in California were living with HIV. Roughly 50% California residents of ages 18 to 44 years old have only ever tested for HIV/AIDS. Different STDs require different remedies and therapy. Make both yourself and the public safe by taking an STD test in Reedley. New data released Tuesday from the California Department of Public Health reveals cases of sexually transmitted diseases (STD) and infections are on the rise on the Central Coast. The number of gonorrhea cases have doubled and syphilis cases quadrupled in Santa Barbara County since 2011. The report says overall, STD cases in California have risen by 40 percent in five years. And Fresno County specifically has one of the highest gonnorhea infection rates in California. Reedley CA 93654 is located in Central California just 15 miles west of Fresno off the 180 as you past Rolinda and head toward Jamesan with a population of roughly 14,000. The town has a large agricultural industry as it’s located in the lush San Joaquin Valley responsible for producing much of California and the U.food source. 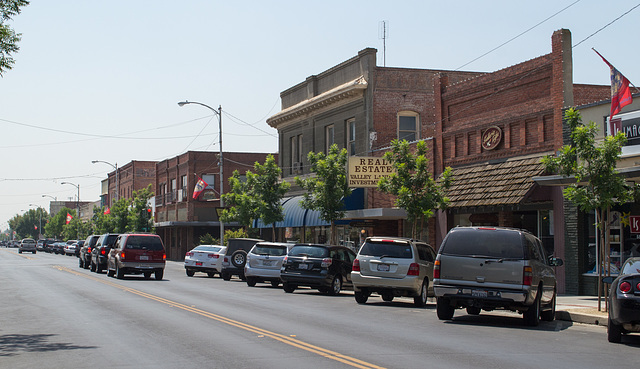 Reedley was established in 1891 after the California Gold Rush. It was named after the plethora of ash trees that would line its various rivers. Over time the population of Reedley grew as agricultural industry and technology boomed in California.